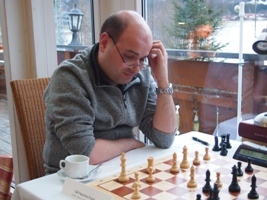 Some 30 players are in the competition this time, 28 participants have played the Alpenpokal 2018. 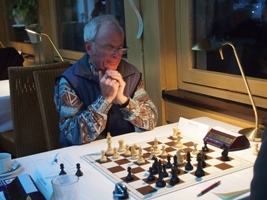 Top scorer and winner of the coup had been Michael Frey in a dramatic last game with Frans Vreugdenhil. Just like last year Frank Fleischer was the winner also in 2015! With a draw in round 3 and a loss in round 4 he started quite slowly, but then he won all the games and the tournament with a full point ahead! 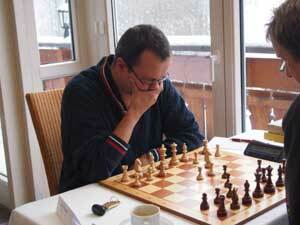 Place 2 and 3 were taken by Thomas Held and Dieter Hilbig with 6,5 points. 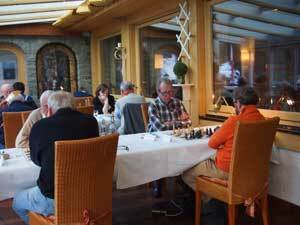 Altogether 36 players were participating this time. 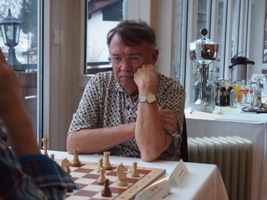 Frank Fleischer aus Ulm gewann den Alpenpokal 2014! 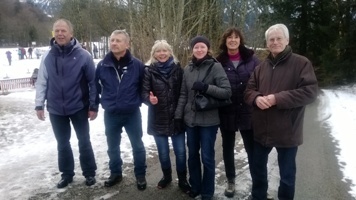 Ebenfalls mit 7 Punkten kam Peter Diller aus Rothenburg auf den zweiten Platz. 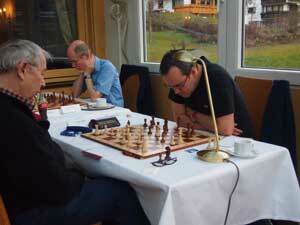 Two known faces in this tournament: Wilfried Grönegress (left) had won it already in 1979! 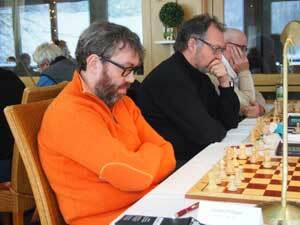 This time he came in seventh. 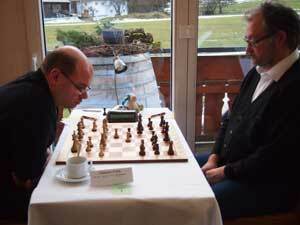 Ludwig Maugg (right) has already won tree times, in 1990, 1998 and 2010! 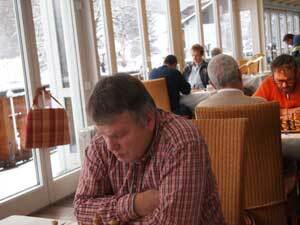 Chess and wintersports are a good combination. 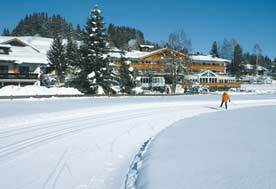 The landscape around the village Fischen in the alpes invites you to ski or extended walks in the morning. 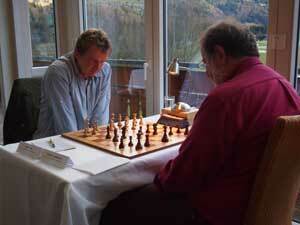 And the afternoons are good for chess! 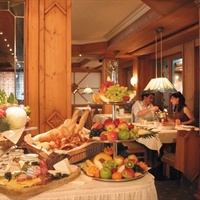 The Hotel Sonnenbichl is an excellent 4-Stars Hotel with a Gault Millau decorated cuisine. 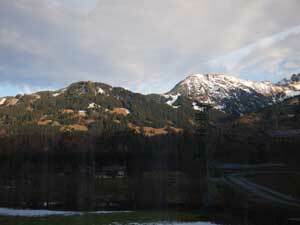 It was a close race in January 2012, Reinhard Wewers and John Schell were separated just by one Buchholz point. 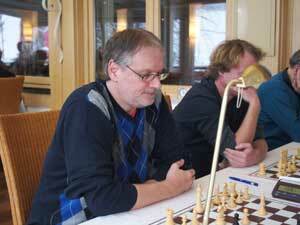 The three players from Holland playing the Alpenpokal for many years got the throphee for the first time. 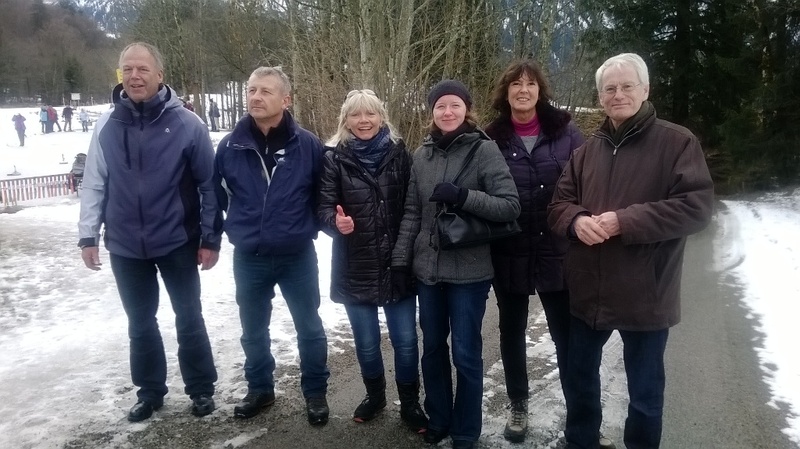 33 players, mostly accompanied by their wives, had a good time with Eisstockschiessen (curling), walking tours and shopping in Oberstdorf. 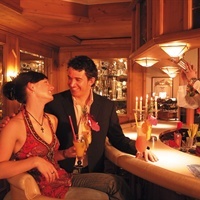 and you can directly register to the next edition here! 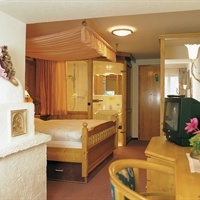 Special offer in **** Hotel Sonnenbichl - 9 nights HB in a double room 828 € p.person!